Order your new rosters today. $10.50 mailed. Great bargain. 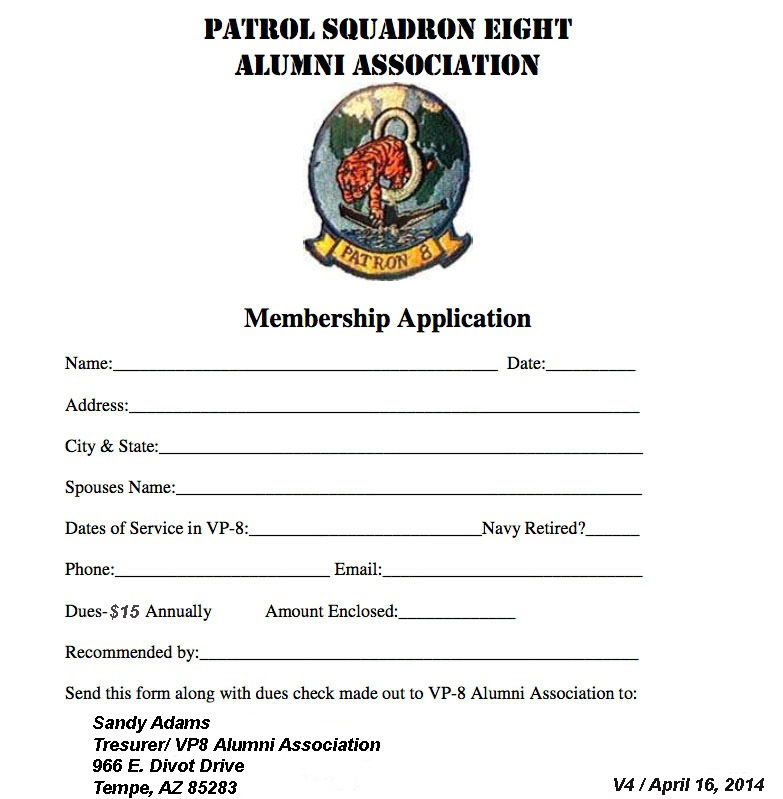 Make checks payable to VP-8 Alumni Association. The new roster is loose leaf, so as you get changes from each newsletter. I suggest that you put a piece of notebook paper in the roster section and keep up with the changes as they come out--until a new roster is published. The new roster is very different as it is divided into Sections. SECTION ONE contains TAPS, the origin of the association, a list of reunions, the actual roster with an index, addresses, phone numbers, email addresses, and a map showing how many people we have listed from each state. SECTION TWO contains the history of VP-8 along with lists of Commanding Officers. SECTION THREE contains other interesting and important documents. When I send your roster out, I will include a new sheet with changes that have occurred since it was printed (August). Order yours today. You won't be disappointed.